Chumphon (Thai: ชุมพร, [t͡ɕʰūm.pʰɔ̄ːn]) is one of the southern provinces (changwat) of Thailand on the Gulf of Thailand. Neighbouring provinces are Prachuap Khiri Khan, Surat Thani, and Ranong. To the west it also borders the Burmese province of Tanintharyi. 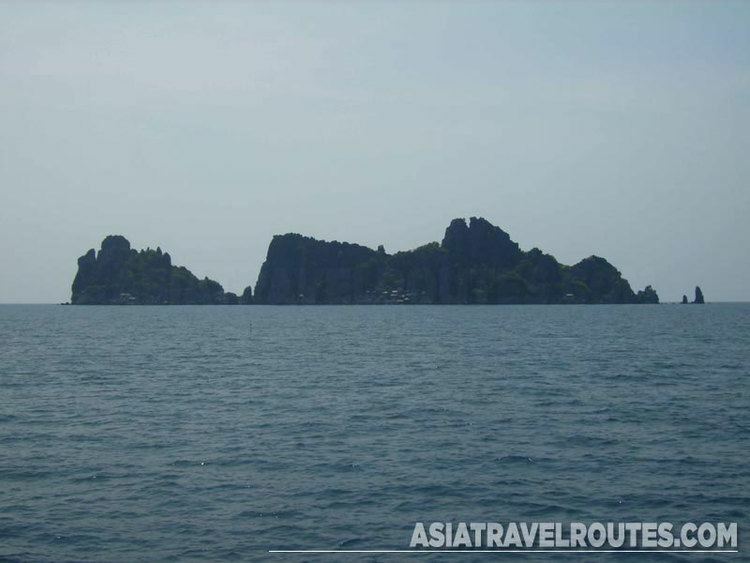 Chumphon is on the Isthmus of Kra, the narrow landbridge connecting the Malay Peninsula with the mainland of Thailand. 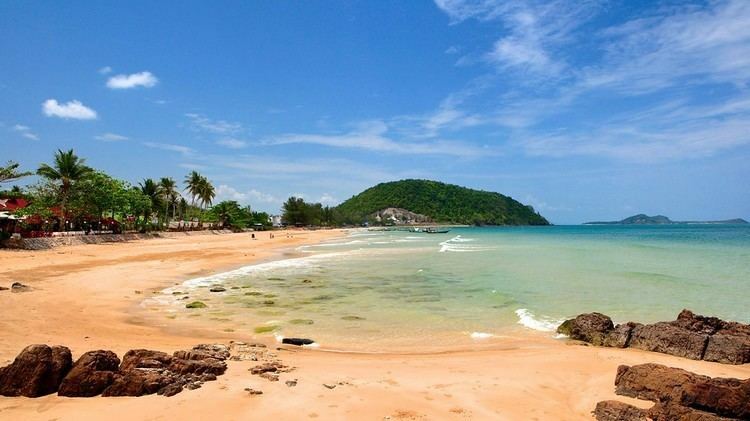 To the west are the hills of the Phuket mountain range and its northern continuation, the Tenasserim Hills, while the east is the more flat land on the coast of the Gulf of Thailand. The main river is the Lang Suan River, which originates in Phato District. 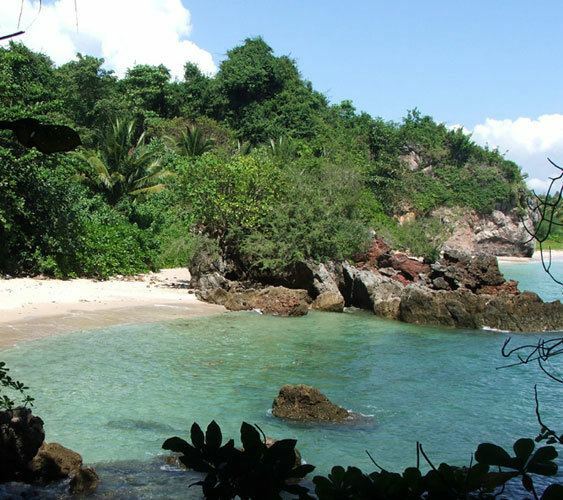 With a 222 kilometre-long coastline and 44 islands, the Chumphon Archipelago, Chumphon has waterfalls, peaceful beaches, green forests, mangroves, and rivers. In November 1989 typhoon Gay hit the province hard. 529 people were killed, 160,000 became homeless, 7,130 km2 (2,753 sq mi) of farm land was destroyed. Gay is the only tropical storm on record which reached Thailand with typhoon wind strength. Today, Chumphon Province is a destination centre for massive human trafficking of Rohingyas from nearby Burma (Myanmar). There are two different theories on the origin of the name Chumphon. According to one, it originates from Chumnumporn (lit., accumulation of forces) which derives from the fact that Chumphon was a frontier city. Another theory claims the name derives from a local tree named Maduea Chumphon (มะเดื่อชุมพร, Ficus glomerata), found abundant in the province. Chumphon is divided into eight districts (amphoe). These are further subdivided into 70 sub-districts (tambon) and 674 villages (muban). Chumphon and Lang Suan are the two towns (thesaban mueang), there are a further 12 sub-district municipalities (thesaban tambon). The coffee-growing valley of Ban Panwal in Tha Sae District includes 178,283 rai of robusta coffee plantations. It produces more than 24 million tonnes a year. Chumphon Province contributes 60 percent of Thailand's total coffee production. Local brands include Thamsing, ST Chumphon and Khao Tha-Lu Chumporn. Transport Air Chumphon Airport is 30 km north of Chumphon city in Pathio District. It has direct daily flights to Bangkok's Don Mueang Airport (DMK). Flights from Bangkok are around 60 minutes. Nok Air operates two daily flights between Bangkok (Don Mueang, DMK) and Chumphon Airport (CJM). 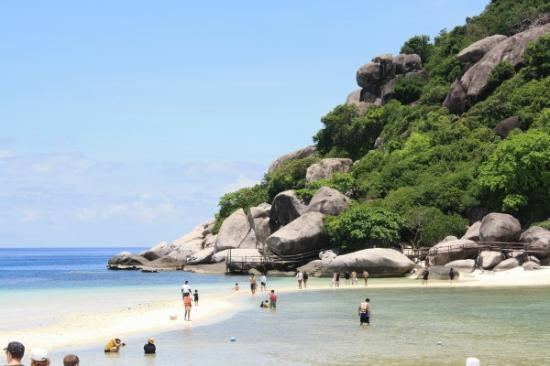 The airport has transit agents for onward travel to Chumphon and the islands of the Gulf of Thailand including Ko Tao, Ko Pha Ngan, and Ko Samui.